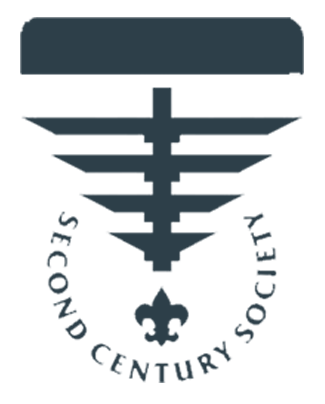 The endowment fund is a permanent fund to support the Heart of America Council. When you make a gift to the endowment, you ensure funds are available to instill the values of the Scout Oath and Scout Law for future generations. Endowed funds are invested and earnings are used to promote and fund existing Scouting programs. We primarily seek to build the endowment to benefit our camp properties at Bartle and Naish Scout Reservations, outdoor programs, and outreach efforts in hard to serve communities in the Heart of America Council. This gift recognizes individuals who contribute $1000 or more to the endowment. Donors may make a gift in their own name or in honor of someone else. West Fellows are presented with a personalized certificate, and a distinctive green and gold square knot patch that can be worn on the field uniform. 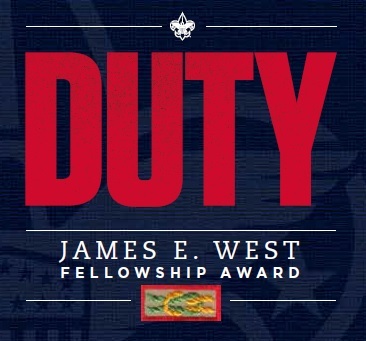 You also receive a bronze James West lapel pin for more formal occasions.Many West Fellowships are provided in memory or honor of someone else. You may want to honor an Eagle Scout, parent, graduate, scoutmaster, volunteer or a loved one. The Second Century Society is the BSA’s national social organization of individuals, families, foundations, and corporations stewarded by key volunteers and implemented by the BSA's National Foundation. Established in 2011, SCS, replaces the 1910 Society and Founders Circle as the way to recognize Scouting’s major donors at both the local and national levels. Qualifying gifts to be recognized as a Second Century Society member have a broader definition than Scouting’s major gift recognition in the past. These gifts include an outright gift of $25,000 or more payable over five years, or a deferred gift of $100,000 or more to a local council, the BSA Foundation, high-adventure base or any Scouting entity for operating, capital, or endowment.